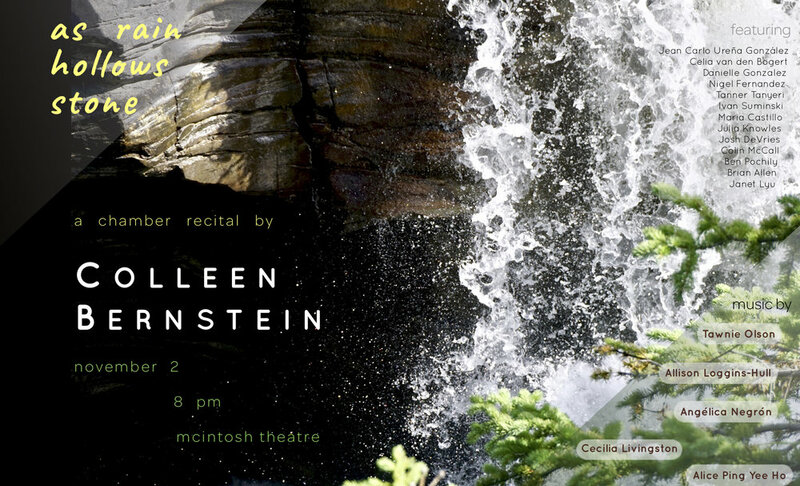 Colleen performs the capstone recital for her Master’s in Chamber Music Performance degree. Program includes mixed ensemble works by Angélica Negrón, Tawnie Olson, Alice Ping Yee Ho, Cecilia Livingston, and Allison Loggins-Hull. FB event/RSVP here - livestream link available!